There is a lot you can do on a computer even without internet access. The following computer lessons will help you get started and keep you amused, intrigued and often delighted with the way computers can draw out your creativity and other latent talents. However, once you are comfortable using a computer mouse (see our FREE computer lesson on The Mouse and Mouse Aerobics) and you DO connect to the internet your world will expand immeasurably. Everybody who uses these informal lessons learns something of value from them. This is your Online Computer School. You will save yourself hundreds of dollars and hundreds of hours learning. You will be up and running right from your first lesson. These lessons have been written to help those who struggle along using yesterday’s methods when so much more can be achieved electronically from the comfort of your own home with the simple click of a mouse. You will be able to get information on any subject, find your soulmate or a friend on the net, play games, search your library for books by title or author, reserve or renew books on loan and of course communicate easily and quickly by e-mail with friends and relatives around the world. People and businesses everywhere use the internet for banking, investing, research, buying things, sending flowers, booking travel flights and tours, paying their bills, transferring money, checking bank account details and so on right from their own homes. Online banking transactions are secure, quick and reliable and mostly free. If you thought that ATMs were revolutionary; the internet will blow your socks off! 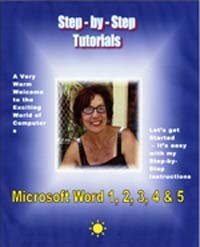 These tutorials have been taught in Western Australia at schools, retirement villages and community centres. They have been tried and tested by hundreds of seniors (aged 60 to 90). 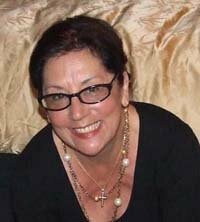 So successful were they that we have made them available on-line 24/7 completely free for instant download to enable our senior citizens or whoever, anywhere in the world, to get off to a flying start. When you click on the blue ‘Free’ link, the lessons will simply start to download and appear on your computer screen for you to start using right away. There are no tricks or gimmicks or other online risks or frustrations. We are doing this purely as a community service. These lessons are yours to keep and re-use over and over. You are welcome to pass them on to your friends and relatives so that they too may benefit from them. Learn how to turn your computer on and off. You are introduced to your ‘Desktop,’ what you can expect to find on it and what a useful place it is to keep all your frequently used programs and files. This is a must for beginners. Download this tutorial easily and immediately for Free. Download this tutorial for FREE - simply click on the friendly Mouse on the right (smile) and learn how to hold the mouse, find out what the left click, right click and scroll buttons do. Learn how to drag pictures and words. Also, learn how to change the font size and color. A fun way to get to know that little rodent! Mouse Aerobics will take you to the Internet. You will jump around trying to find and click on the numbers. This too, is a must for beginners. Get to know what all those little buttons mean and what they can do to make your life easier even if you consider yourself quite computer literate! Discover their amazing uses. Download this tutorial easily and immediately for Free. Demystify all those symbols and hieroglyphics at the top of your Windows page. Use them to cut corners and get the most out of all your application programs. Download this tutorial easily and immediately for Free. Copy a graphic, picture or photograph from one place and paste it in another, for example, to send a photograph in an email, or to copy a verse from the Internet and paste it in a birthday card or valentine’s card. The possibilities are endless! Add a professional touch to your words. Express your creativity by changing the style, size and color of writing – plus more little tricks. Download this tutorial easily and immediately through Free. This course is on the Internet and is for those wanting to learn to touch type. That means typing without looking at the keyboard. It takes some time, patience and a lot of practice, but it is worth it! You REALLY get your money's worth here ... it's TOTALLY FREE (smile). Just click on the link to get your Free Copy. Learn a practical, step-by-step way to find that important information about your PC. Useful if you want to buy or sell a computer or if you are considering buying some new software programs. Download this tutorial easily and immediately for Free. Title Bar, Menu Bar, Word Toolbars, Ruler, Views, Text Area, Saving and exiting – all this revealed. Download this tutorial easily and immediately for Free. Backspace Key, Delete Key, Insert text, Bold text, Italics, Underline and so on – build on your knowledge from Microsoft Word Basics (1). Download this tutorial easily and immediately for Free. Cut, Copy, Paste, Auto Text, Check Spelling, Find, Replace, Fonts. What do these mean? How can I do them? Build on your knowledge from Microsoft Word Basics (1) and Microsoft Word Basics (2). Download this tutorial easily and immediately for Free. Bullets and numbering, the Tab key, Undo and Redo, Saving and Printing – all this will be revealed in this lesson. Download this tutorial easily and immediately for Free. This lesson teaches you to create tables, insert and delete columns and rows within the table, format and do simple calculations with data in the tables. Very useful for displaying sales analysis for clubs and businesses. Download this tutorial easily and immediately for Free. It’s vitally important to know how to save and retrieve your masterpiece. Learn a few keyboard shortcuts. More about copying, pasting, moving and also checking your spelling and grammar. Download this tutorial easily and immediately for Free. Everything you create on your computer should be filed away in an orderly fashion if you ever want to find it again. We show you how to do this by creating suitable folders for ease of retrieval. Download this tutorial easily and immediately for Free. Learn how to work with two windows open at the same time. First learn how to change the size of the window. Then learn about the different ways to move around a document, plus the different ways to view a document. This includes things like having the ‘Document Map’ or ‘Thumbnails’ open. Learn how to ‘minimize’ a page etc. Create your own Birthday cards (with family photos), invitations (also with photos), Christmas Cards or any type of card you can think of. Step by step instructions + heaps of graphics to choose from. A lesson that allows you to express your individual creativity! Download this tutorial easily and immediately for Free. Set up a calendar and insert pictures of your family and friends on their birthdays or important occasions. It is handy to have this stuck up in your study or on the fridge. Discover how to set up a slide show with your favorite photographs and graphics. Good fun! Download this tutorial easily and immediately for Free. Learn how to work with a spreadsheet and create your own household budget in Excel to monitor your income and expenditure. Download this tutorial easily and immediately for Free. This lesson takes you on a cyber journey filled with useful internet links and tips. Included is a variety of free game sites and lots of other interesting places to explore. Enjoy this cyber journey, the best part is that this lesson is TOTALLY FREE. Just click on the link and BINGO! There's your Free Lesson waiting for you. Are you a slow typist? Do you want to send a long email but you want to write it a bit at a time with time-out in between? Will you be paying for your connection by the minute? Then learn how to write it in Word, send it and get off the net quick-smart. Download this tutorial easily and immediately for Free. All about sending and receiving emails. Also, how to manage your e-mail box with folders - plus much more. Download this tutorial easily and immediately for Free. This is an excellent place to find lots of very interesting and useful stuff. This is so comprehensive that it is virtually a course in itself. Download this Computer Dictionary easily and immediately for Free. 1. Has more than 530 pages of things you wanted to know about Computers - but, felt too embarrassed to ask. 2. Provides self-help for the absolute beginner to the more advanced user. 3. Is also an ideal teaching aid for XP & MS Office 2003. 4. Is written in an easy style with lots of illustrations and good humour. 5. Incorporates all the above lessons plus much more. Want to build a website that pays for itself and more? One that's easy to build and gets lots of traffic? Let us show you the way. Click here. See how you can help your older relatives maintain their independence and self-reliance when you give them a gift of Step-by-Step Computer Lessons. You will find even more help from some of the sponsors listed at the top or right side of this page. Check them out.